As late as mid-February in 2006, it was uncertain if Panther Racing would field a team in the IndyCar Series after primary sponsors Pennzoil, RockStar Energy Drink and longtime backer General Motors elected to depart the IndyCar Series. In and effort to raise funding to keep the team alive, Panther auctioned off a majority of its old equipment during a widely publicized sale. 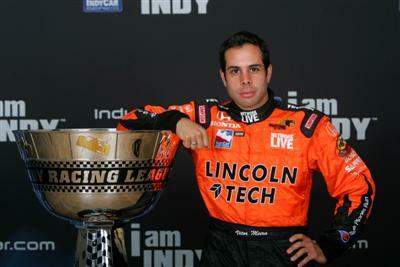 Many thought Panther Racing’s nine-year run at the front of the IndyCar Series had unceremoniously come to a close. Vitor Meira and the Panther Pack had other ideas. Meira, cut loose from Rahal-Letterman Racing after a season in which he finished second in the Indianapolis 500 and beat popular teammates Buddy Rice and Danica Patrick, was hungry to prove himself, and the 29-year-old Brazilian was the perfect fit at Panther – where the team’s core staff was equally eager to prove that they were a cat with more than nine lives. Panther would quickly become the best motorsports story of the year. In the next 13 races, the racing world would find out why. Meira climbed to a remarkable fifth place finish the next weekend in St. Pete and battled back from two-laps down in the Indianapolis 500 to finish on the lead lap in 10th place. And from that point out, it was nearly impossible to keep Meira and his bright orange No. 4 car out of the top three. Starting at the road course in Watkins Glen, Meira and the Pack went on a run of 10 races where they finished outside the top six only one time, including a total of six podium finishes. Meira’s drive at Richmond International Raceway was one of the best in his career. After starting sixth, Meira passed every car on the track except eventual winner Sam Hornish, Jr. Problems on nearly each of his pit stops continued to put Meira behind the eight-ball during the night, but each time Panther’s young driver picked his way back to the front of the field, including diving below Dario Franchitti and nearly onto the infield grass for second place just three laps from the finish. 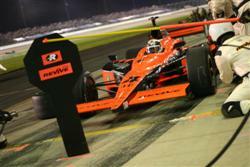 The race ended under yellow, which Hornish later admitted was a good thing because he knew Meira was tracking him down. The team stayed in the thick of the championship chase throughout the summer, battling toe-to-toe with the two-car operations of Team Penske and Chip Ganassi Racing. Meira did his best to close in on Panther’s third IndyCar Series title, even passing three cars in a single turn at the difficult Infineon Raceway that included a cloud of tire smoke that left his team speechless. The season was a remarkable accomplishment for the team and Meira, who patched together sponsorship deals from Harrah’s Casino, Revive USA and Lincoln Tech to make it though the season. But, it was because of that performance, that quickly into the off-season, longtime Indy-car supporter Delphi brought its primary sponsorship package to the No. 4 car and the Super Aguri Company moved its United States operation to Panther’s stable with Kosuke Matsuura in the No. 55 Panasonic car and upstart young rookie Hideki Mutoh into the developmental Indy Pro Series.